Serums are really making a huge name for themselves in the market these days. If you check out any online store selling skincare products, these serums are never absent. There are plenty of serum products for you to choose from but when you purchase antioxidant serum for your sensitive skin, you should take caution. There are different types of serums for every skin type so you should take note of these when buying one online. Here are the most important things that you need to know about this amazing skincare product. Serums - What Are They Used For? When it comes to keeping our skin strong and healthy, we use plenty of products to achieve this. One of them is the serum. 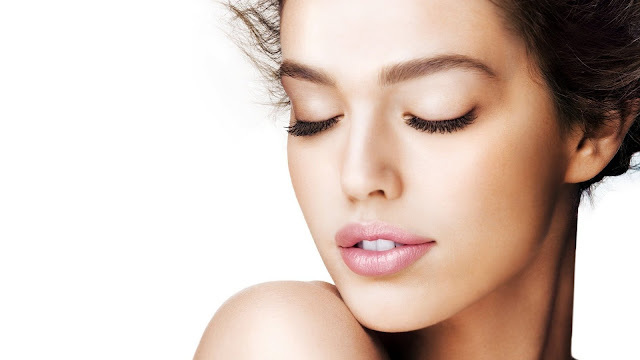 Serums are specifically formulated to have higher active ingredient concentration. This is why just a few drops of it onto your skin is enough to cover your entire face. The serum texture is lighter compared to a moisturizer. This is why even with this product alone, it can be used by any skin type. From oily to normal and to dry skin. Choosing a serum for you will depend on your goal. There are different types of serums for you to choose from. The active ingredient and the texture of the serum are the ones responsible for providing you with different functions while giving you a variety of benefits. Serums that are water-based are the best option for oily skin. Serums with a richer texture or the ones formulated with oil are perfect for drier skin types. ● Anti-Aging Serum. This type of serums can treat common signs of skin aging and helps slows down the process. This product targets fine lines, wrinkles, and sagging while plumping and firming the skin at the same time. This can also help rejuvenate the skin and give it a smooth texture and appearance. ● Skin Brightening Serum. This product brightens and smoothens your complexion while fading any signs of aging and sunspots. It also reduces any hyperpigmentation and can leave your skin looking radiant and with a natural glow. ● Anti-Acne Serum. This serum can prevent any breakouts from forming. They work deep into the skin to deliver their potent active ingredients. This product can also fade acne scars while helping remove dead skin cell buildup. ● Hydrating Face Serum. This is what your parched and dehydrated skin needs. When moisturizers cannot help your skin, this is what you should look for. But remember that they are not meant to replace your moisturizer. Instead, it works together with your moisturizer to provide amazing hydrating effects. ● Face Exfoliating Serum. We need to rid our face with dead skin cells and sebum that can cause a lot of skin problems. These products are used to make sure that your skin is functioning optimally. ● Repair And Renew. Serums can also repair and restore your skin. It has the capability to turn back time and bring back your youthful glow. Serums are applied twice daily. These are the products that you should apply after you cleanse and tone your skin. You can also use a sunscreen over the serum before you go out of the house in the morning. At night, you can use your preferred moisturizer over your serum application. Experts suggest to apply the serum using on one or two fingers and massage it onto your skin thoroughly. Your skin needs serums, no questions asked. Take a look at your options above and find out which of these are the best products for you. Make sure that you add this to your skin care routine to achieve a younger and healthier looking skin.